For seriously covetable Business Card designs, that include hidden treats head this way. 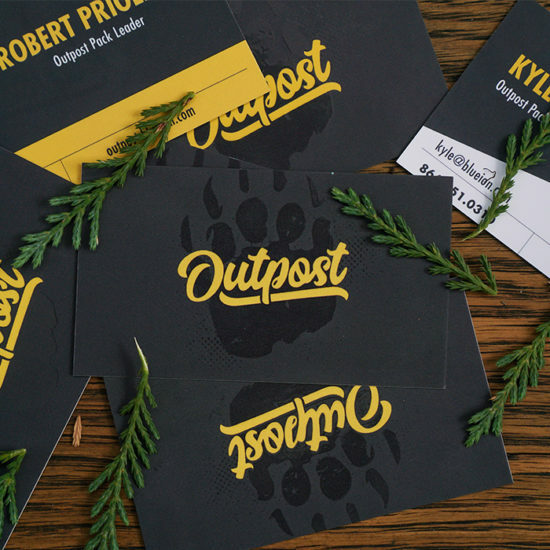 We just can’t help but let out an excited shriek when beautifully designed Business Cards cross our path – and that’s exactly what we did when we saw Tyler’s, Kane’s and Xavier’s awesome creations. Find out what influenced their designs and which paper they chose to help them stand out from the crowd. Tyler Pate is based in Charleston, SC. By day, he’s an illustrator and art director at Blue Ion – a digital marketing agency. By night, you’ll find Tyler working on freelance design projects. Tyler has always had a passion for art and design but painting was his real driving force. After high school, Tyler went on to study visual communication at college which introduced him to new mediums and new ways of working. Kane Ordonez is an industrial design student at San Jose State University in California. He’s going to be graduating at the end of this year and can’t wait to get into the design industry. Kane’s interest in art and design started from a young age – he was always been drawn to crafts and DIY projects. In high school, he was introduced to digital media design and graphic design but it wasn’t until college that Kane discovered industrial design (also known as product design). This opened up new doors for Kane, allowing him to innovate whilst creating his ideas in 3-dimensional forms. As Kane is coming towards the end of his studies, he wanted to create his own branding and designed Business Cards in preparation for his senior project show: “I designed my own logo – I wanted ‘K’, the first letter of my name to be the focus – the 4 lines represent the four letters in my name and I took inspiration for my color pallet from the Mid-Century Modern era. Kane loves the “matte, soft touch quality” of his cards and the thickness of the Super paper adds a “premium and sophisticated feel”. Kane included his Business Cards on his presentation table at his senior project show – they were a real hit, helping him to really stand out on the day. Xavier has also recently created a series of Postcards featuring his personal designs that he now sells in shops. Because of this, Xavier chose Luxe: “I wanted the Postcards to be firm, not flimsy when people picked them up. Like with all of my work, I want to achieve a certain level of quality and I think this heavy weight paper contributes to that.” For Xavier, his Postcards symbolize the “new, creative freedom” that he now has in his life and it’s got him thinking of ways to extend his range. We can’t wait to see what he comes up with next!